After working at Live Zero (Hong Kong's first zero waste bulk food store) for a week, I was stunned when I entered the supermarket again and was greeted by rows and rows of packaged products. I nearly forgot what it was like to shop for groceries in Hong Kong: plastic containers, plastic bags, and various other single-use items. However, the shock vanished almost instantly, and I was back to picking out my favourite foods and ignoring the vast amount of waste I would be generating through my 'small' purchase. Reflecting back on this moment, I am instantly guilty of my innocent yet ignorant actions. To have claimed to be an 'environmentalist' when all I did was refuse plastic straws (I hardly even order drinks in the first place), bring my own water bottle, and eliminate animal products from my diet was a tremendous overstatement. After rearranging my pantry and converting all the plastic packaging into glass jars, I started to notice all the waste I was accumulating at home. I suddenly became more cognizant of all the single-use materials that I encounter every day - store-bought containers, packaging that comes with online shopping, receipts, tissues, paper towels, sanitary pads, ziplock bags, and more - and I am determined to modify my habits. Of course, this is not going to be an instant transition, but the aim of this post is to publicise my intentions and to hold myself accountable through the inescapable permanence of the internet. The goal is to be able to look back on this article and frown upon my past tendency to shy away from the unintimidating reality of a low impact lifestyle. At this point in time, I always carry around a water bottle and a metal straw (hardly any need for it, but it's nice to have anyway) with me. To begin my journey with small steps, I am going to follow the guide of Our Simple Cottage and carry around Zero Waste Essentials with me at all times. This part still requires some exploration as my essentials will differ from hers, but I will try to post weekly updates about my progress, any transitions I have made, and the lessons I have learnt throughout! My bamboo toothbrush from Live Zero! These things aren't cheap to buy, and it took a lot of consideration to decide whether or not they would be worthwhile investments. I understand that oftentimes, it can be even more wasteful to purchase reusable items than it is to simply reuse what you have, but I figured it would be easier to start off by surrounding myself with some easy to access, waste-free paraphernalia. There are so many creations out there to aid the process of going zero waste, but these are the ones I figured would be the most crucial for my transition. 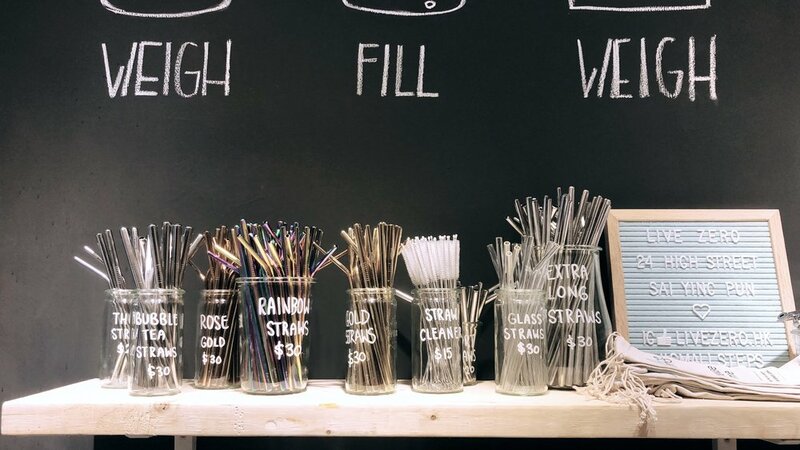 If you are not comfortable spending so much money to reduce your waste, there are also plenty of DIY alternatives that you can find instructions to online! As I familiarise myself with this lifestyle, things will inevitably become easier, and I hope to become more creative with my zero waste strategies too!